Our missionâ€¦ To build a network of like-minded preppers to share resources, products and ideas. We want to continue to thrive even in the face of economic collapse whether it be by natural disaster or human destruction. We want your family to thrive and survive too. 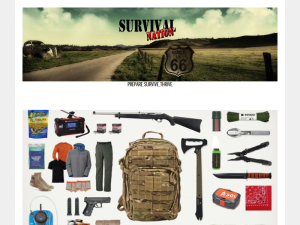 This what your Survival Nation Blog Ad will look like to visitors! Of course you will want to use keywords and ad targeting to get the most out of your ad campaign! So purchase an ad space today before there all gone! The post The 22 Medications You Need in Your Personal Stockpile NOW! appeared first on . While the mixer is running, add the water and 2 tablespoons of the oil and beat until the dough forms into a ball. 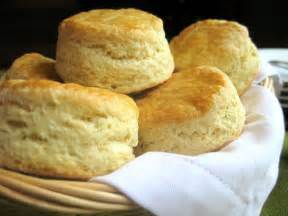 If the dough is sticky, add additional flour, 1 tablespoon at a time, until the dough comes together in a solid ball. If the dough is too dry, add additional water, 1 tablespoon at a time. Scrape the dough onto a lightly floured surface and gently knead into a smooth, firm ball. The post Pizza Dough (Regular Crust) appeared first on . The post Big Boy Bicuits appeared first on . Striking images of utter destruction caused by the likes of Katrina, Irma and other catastrophic hurricanes may lead some to believe that not much can be done to protect property from such a powerful storm. However, essential steps can be taken to minimize a hurricane’s impact on your home. Entry points like doors and windows are the weakest and most vulnerable parts of your home during a major storm. Boarding up windows with storm shutters or plywood greatly reduces the likelihood of shattering. “This is one of the most important things you can do, considering a broken window would leave the rest of your home [exposed] to wind, rain and flying debris,” said Roman Zrazhevskiy, founder and chief executive officer of Ready To Go Survival. Installing impact-resistant windows is another effective, albeit costlier, option. “The design makes your windows perform much like a windshield, cracking into spider web patterns when hit, but not completely shattering,” said Frank Klavon, president of glass repair and replacement services company Glass Doctor. Plywood is fairly inexpensive, and when installed properly, it can hold up just as well as traditional storm shutters against hurricane-force winds. Although some people opt for taping windows, experts advise against this method, which provides only a false sense of security and the opportunity for larger, deadlier pieces of glass to enter a home. Flooding is the most common natural disaster and can occur anywhere. When hurricanes carry drenching rainfall and deadly storm surge ashore, the chances that your home will experience some type of flood damage will skyrocket. Before hurricanes strike, people often wait in line for hours to obtain sandbags that can be placed around their home’s entrances. Experts recommend piling up sandbags at least 2 feet high as an effective barricade against floodwaters. “If you cannot acquire sandbags on short notice, fill a few heavy-duty garbage bags one-third of the way with water and place them side by side to supplement,” Zrazhevskiy said. It’s also a good idea to park your vehicle on higher ground, if possible, before water rises. Keep in mind that if you evacuate, your home might be flooded, to some extent, when you return. “Think about unplugging all of your household electronics and appliances [as well as] shutting off electricity to prevent electrical surge or potential electrocution if your home were to be flooded,” said Melanie Hart, senior underwriter for USAA. Ensuring that both your home and vehicle are insured against flood damage will help ease the financial stress of disaster recovery should flooding occur. Outdoor objects surrounding your home can become deadly airborne missiles when swept up by a hurricane’s strong winds, potentially damaging you or your neighbors’ properties. “[Ensure that you] pick up, tie down or secure anything that could become a projectile with high winds,” Hart said. “Think about trimming trees to reduce any falling limbs and cleaning up things around your home and yard like potted plants, lawn furniture and children’s toys, so that they don’t get picked up by wind,” she added. A lightning strike, short circuit or a downed electrical pole can cause your home’s power voltage to soar to hundreds, or even thousands, of volts, said Doug Rogers, president of appliance repair company Mr. Appliance. Surge protectors help to protect your electrical devices from voltage spikes caused by surges. Rogers said that surge protectors are a more practical option than unplugging appliances days before the storm. “The food in your refrigerator will likely spoil, and dishwashers and ovens are often directly wired to the electrical supply, so a consumer may not be able to unplug those devices,” Rogers said. Knowing exactly what items are in your home is critical to post-storm recovery in the event that your home or belongings are damaged. It’s as simple as snapping cell phone photos of the contents in each of your home’s rooms. “Recording the item number or serial number will help you recover after the storm when you’re filing a claim with your insurance company,” Hart said. Some insurers make the process easier by offering free home inventory apps. “Trying to remember everything you have will be a challenge for most people, as they’re also taking on the [emotional part of] dealing with recovery,” Hart said. The post 5 Expert Tips to Survive a Hurricane appeared first on . The post DIY – Harbor Freight Greenhouse appeared first on . The post Fire is life on the homestead appeared first on . If you are the owner of Survival Nation, or someone who enjoys this blog why not upgrade it to a Featured Listing or Permanent Listing?